Hand crafted, soldered glass ornament measures 2"x2" square or if your photo is more suited for a rectangle I have 2"x3" available. Two sided which can include wording on the back or another photo. You email me your photo and customization details and I create a one of kind handcrafted ornament. 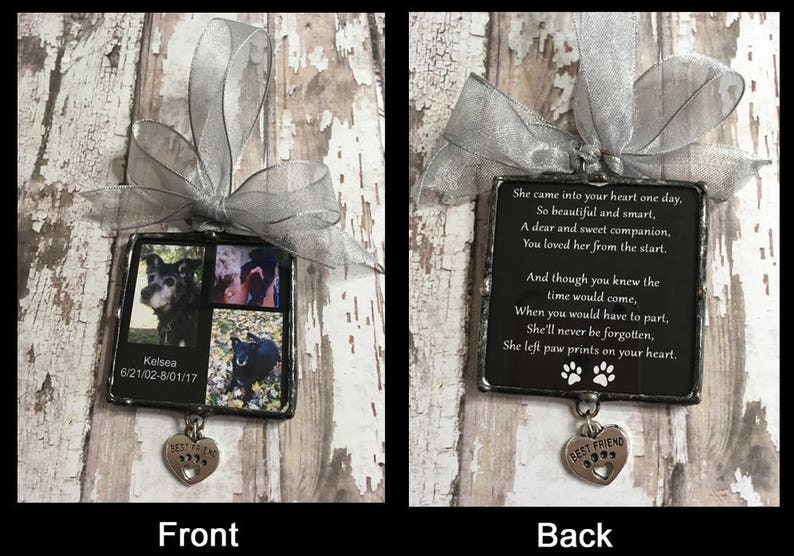 These are perfect keepsakes to capture a special memory. Production time varies from 2-3 weeks depending on my current volume of orders. If you have a deadline, please inquire before placing your order to make sure I can accommodate your deadline.